zColo 401 N Broad St Philadelphia Data Center is located at 401 N Broad St, Philadelphia, PA 19108, USA. The data center is 1300000 sqft. There is a total of 3000 sqft in raised floor space for colocation. It has access to 1.502 MW of power. We found 30 data center locations within 50 miles of this facility. 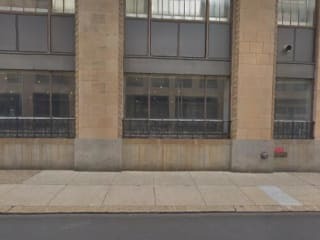 Certifications for this location include PCI-DSS, SSAE-16 Type 2.
zColo's data center facility at 401 N Broad in Philadelphia, PA offers a robust colocation infrastructure with multiple connectivity options. With extensive in-building riser assets throughout the building, the facility reaches more than 20 carriers as well as IP Peering and Ethernet exchanges. It also provides the Metro Interconnect service.The location is a major aggregation point for local, regional and long haul networks on the East Coast of the United States.